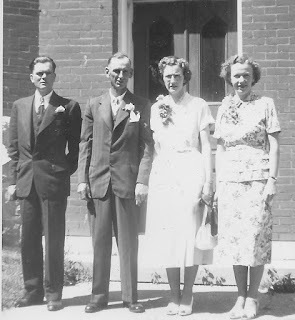 Dodie had graduated from Normal School in Brandon in June of 1941 as described in this blog post . 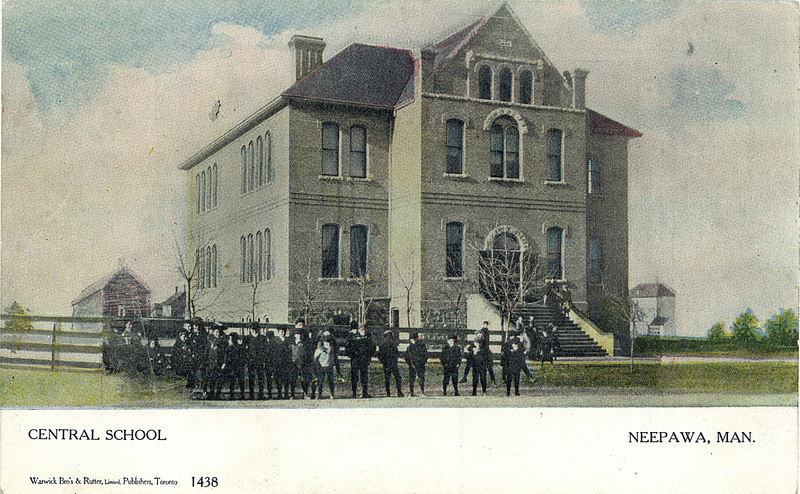 She taught at schools in Lavinia, Penrith, White Bank Lea and Strathclair but had not been teaching for a couple of years when she took on the class in Neepawa. I have her diary from that time which helps fill in a few of the details of those six months. On December 30, 1949 Dodie accepted the job at the school at Neepawa and writes that January 9 was the first day, she had 31 pupils and it was very cold! The day before classes began she visited at the hospital which makes me wonder if she was taking over for an ailing teacher. On January 20 she writes that she went home on the bus to Strathclair and her two brothers Bob & Don (my Dad) met her there and took her the rest of the way home. She went back to Oak River about once a month along with Easter Break. On January 23 she reports that Inspector Beecher was in her room all afternoon. The Manitoba Historical website gives a list of inspectors responsibilities here and confirms that Robert Edward Beecher held that job from 1929 to 1956. She writes about going to church Sunday nights at the Calvary Temple and also the Baptist Church. She mentions listening to Lux Theatre and Ford Theatre on the radio, going out for a bean supper, big dances at the airport and bowling. The girls gave each other "Toni's" and spent time after school together. She often went out for a Coke at the Bamboo Garden with her teacher friends after work and a google search tells me the same restaurant continues in Neepawa today. This blog post from 2015 has some great pictures of the town including of the outside of the restaurant in 2015. The opening of Fenwick's Department Store on April 27, 1950 was a big event and she visited it many times from then on, usually just to look. Dodie remarked on May 11 the first evacuee train from Winnipeg (due to the flooding) arrived with 130 people on board. The next day being Arbour Day, she and her class cleaned up the school yard. 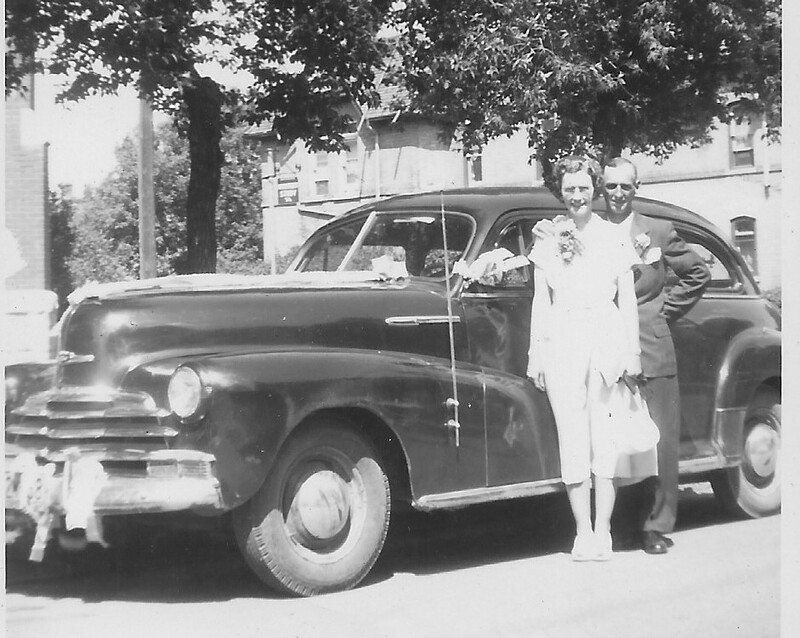 Her fiancee Sam Henry took her to Minnedosa for supper then to a show "All The King's Men". 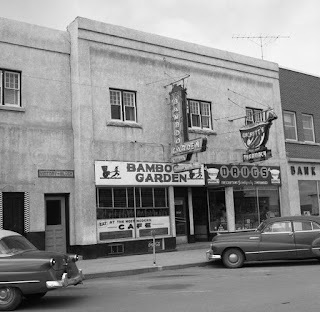 Shows were popular evening entertainment in Neepawa as well and she gave favourable reviews to "Challenge to Lassie" , "The Wizard of Oz" and "Jolson Sings Again". A week of evening sewing lessons given by the Singer Sewing Company was a June highlight. 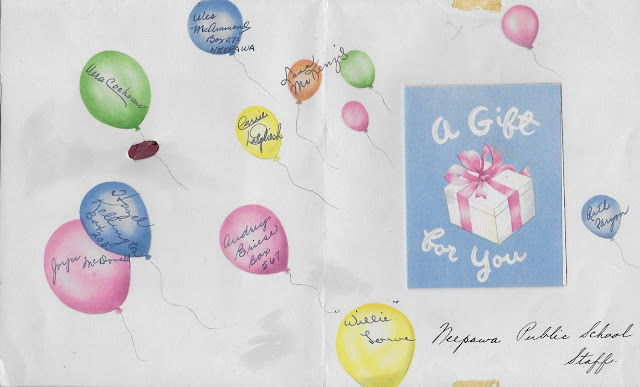 Her teaching colleagues were often mentioned and this card as well as a cup and saucer were given to her on one of her last days at Neepawa. Interesting that included in the group is Hazel Kellington, the celebrated lady that taught in Neepawa primary rooms for 45 years and whom the current elementary school there is named for. These would be her last days as "Miss Simms" and aside from a few days filling in at nearby Medina School, her last days teaching. A new routine awaited her as farm wife as on July 17 at the First Church United on 8th Street in Brandon, she and Samuel Robert Henry were married at 2:00 in the afternoon in front of 10 members of her family. Above are pictures from that day - Doris and Sam posing in front of his 1947 Chevrolet and with their attendants Jim and Gwen Milliken. After lunch at the Olympia Cafe they left on their one week honeymoon. She writes that they spent the first night in Roblin then Elfros, Kindersley, Calgary, Maple Creek and Regina before heading back to the farm.